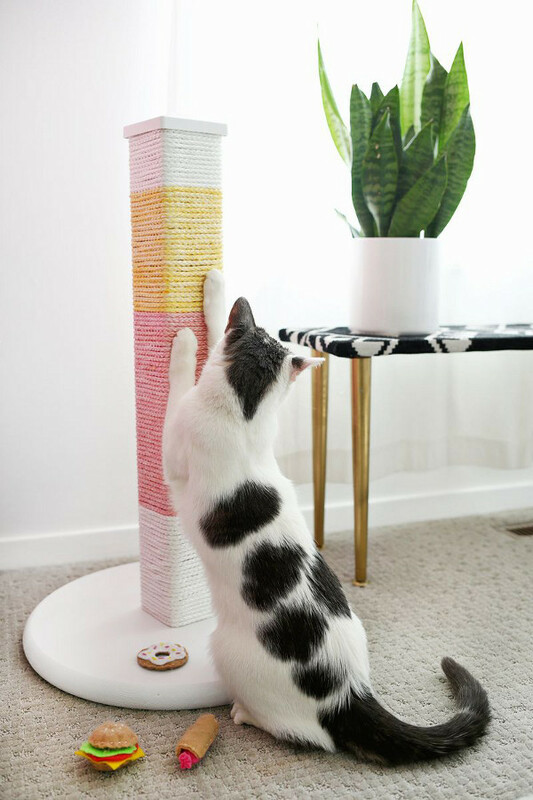 DIY Colorblocked Scratching Post. This is quite a project: build the wooden frame, dye the rope, and attach the rope to the post. But it looks pretty great.